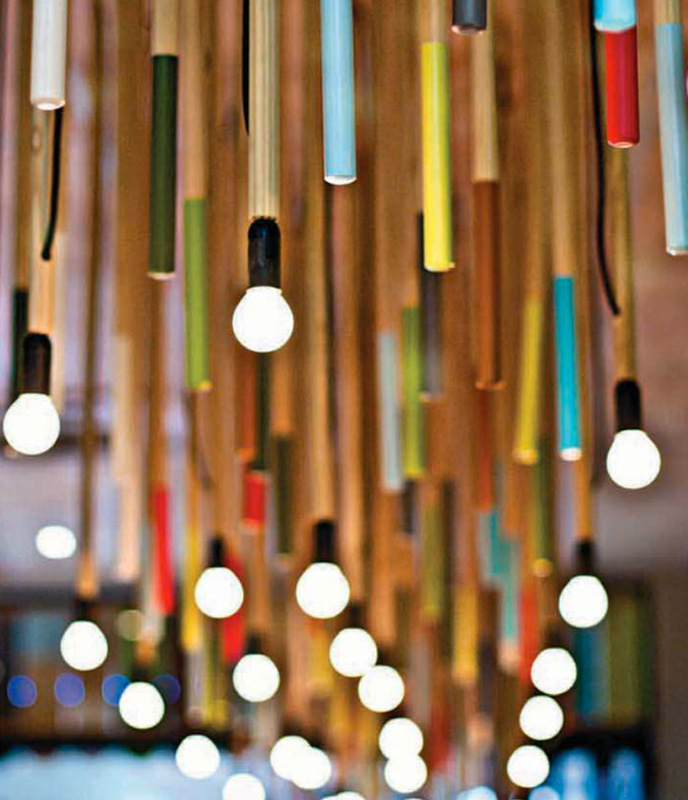 I was struck by this light installation that I happened upon in the latest issue of Elle Decoration Magazine. 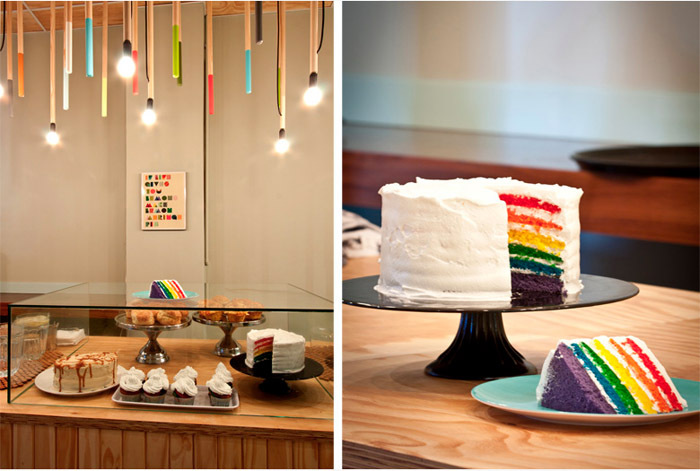 Designed by graphic, interior and furniture designer, Kevin Boyd of Durban, South Africa for the Colour Cafe in Durban, Boyd explains, there are some outlying areas of Durban that just need a boost of colour. Waterfall is one of those areas. 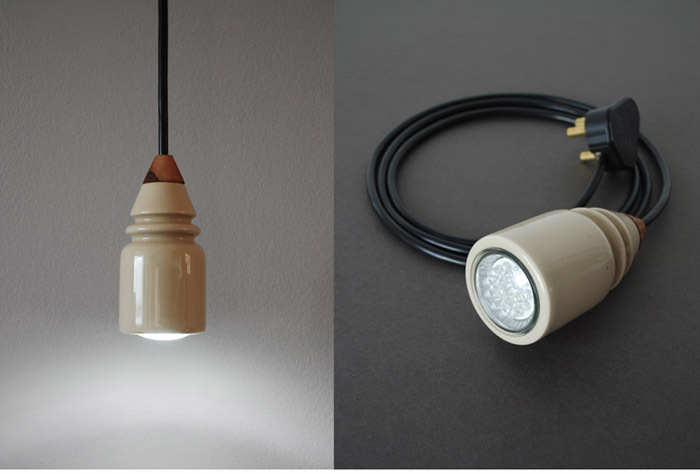 And we couldn't help but visit his site of course and came across a few more goodies, like his Tweet Light (below), an entry for the 2010 Eskom Energy Efficient Lighting Design Competition which is made from redundant porcelain insulators from the old openline telephone poles. More info about Kevin at his site, kevinboyd.co.za. All photos from kevinboyd.co.za (David Louis). 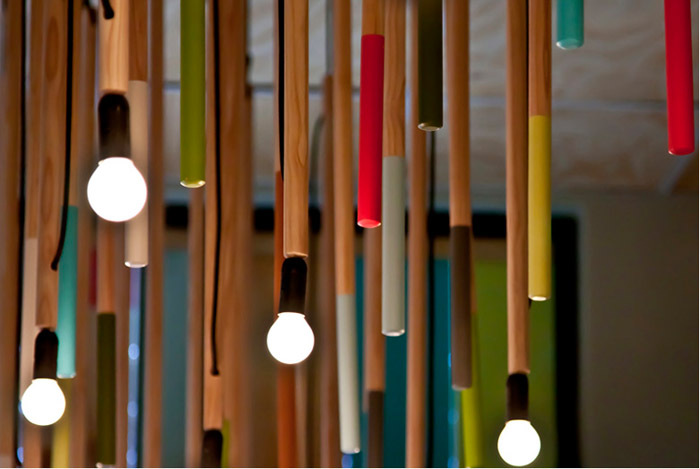 Amazing, I love it - I would love to have those lights in my work space!